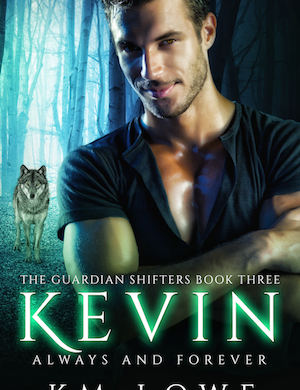 “Kevin – Always and Forever” The Guardian Shifters #3 by K.M. Lowe. I love this series more and more. But then what’s not to love about a paranormal romance with shifters, vamps and lots of adventure/action. Once again the author has given us a storyline and characters that are exciting and will grab you from the start. I will state however, if you are reading the series, the first few chapters will seem a bit of a repeat from book 2 (Jasper), but simply because Jasper and Kevin’s lives overlapped during that time frame. The events are being told through Kevin and Karina’s eyes as well which gives you a much more in depth vision of what they were going through during this time frame as opposed to Jasper and his woman. Kevin’s story was just so special. The boy/wolf has been through so much in his young life. The loss of his mother and the abuse at the hands of his father and his pack have definitely left scars. But as we know from prior books, he has found his sister, Lisa, and a home with a loving caring pack. But the council says Kevin and Jasper must pay for breaking their rules when Lisa and Jasper were both saved. Thus they end up on a mission in Canada. A mission to help save kidnapped women who were being abused and tortured in the most inhumane of ways. What Kevin didn’t expect to find or felt he deserved, due to the horrible things he was made to do at the hands of his father, was Karina, his soulmate. As for Karina, she has been running on her own since her parents die only to be captured by the rogues. She is thrown is a cage and finally give us her will to survive. But she keeps hearing a voice that calms her and cares for her. A voice that belongs to Kevin. But can Kevin and Karina overcome all the hurt and vile things that have been forced on them? Can they ever function in normal pack life, let alone with a mate? The road for these two is long and hard but it’s a beautiful journey of young love and hope. 2 Thumbs up for a great read. One I highly recommend. 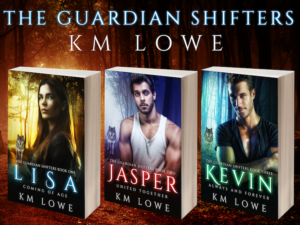 The series is call the Guardian Shifters. While it’s not a must to read them in order, I do recommend it. You’ll be very glad you did. 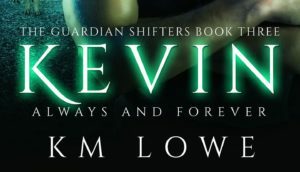 Kelly Lowe is a writer from bonny Scotland. She is a dedicated wife and mother to Dylan and Tianna. Her first book ‘The Smile’ was published in May 2014. Since then she went on to finish the paranormal trilogy and write 4 romance novels set in and around Scotland. She is a very keen reader and writer and loves to discuss the books and projects that she work on. She loves spending time with her husband and kids. They do a lot of walking and spend quality family days out. Kelly loves dogs and has a slight obsession of pugs. She claims she would have a house full of them if she could.